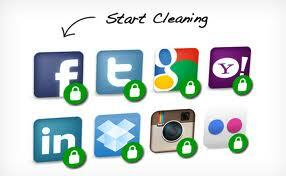 CLEAN UP YOUR PERMISSIONS – SO SIMPLE EVEN GRANDMA COULD DO IT. Many of us are members of several different websites or have downloaded several different apps on our smartphones. We have a lot of personal information stored somewhere out there in cyberspace. We may have given any number of websites or apps permissions to access our personal information. I am willing to bet that you may not recall how many websites you have granted access to your personal information or if a website is linked to another website and sharing your information. Granting permissions when you first sign up at a website very easy, often it only takes one click of a button. However, trying to manage or revoke those same permissions is like looking for a needle in a haystack. Many websites don’t make it very easy to find the settings you need to take control over YOUR personal information. The smart people over at mypermissions.org developed a very easy way to find and manage permission settings on many of the most popular websites. MyPermissions doesn’t require access at all to your accounts. It’s basically a simple but really useful link directly to the permissions pages for Facebook, Twitter, Google, Yahoo, LinkedIn, Dropbox, Instagram, Flickr, etc. After clicking the link to Facebook or Google for example, you might be surprised to see the number and type of permissions that have been granted. You can now quickly change or revoke permissions. I’ll be honest and admit that I had given gist.com access to my Google account. I have not used that site in over a year. Gist no longer has access to my information. I really need this resource. Thanks! My pleasure Chris. Hopefully you will find other helpful poss and possibly subscribe to my blog. « DO YOU KNOW WHO IS WATCHING YOU?